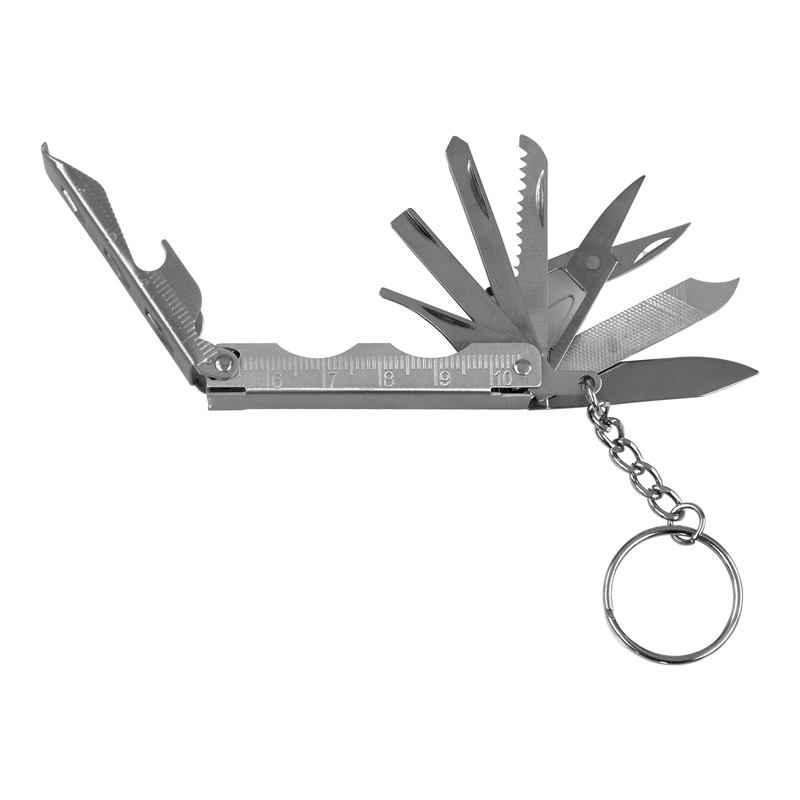 Mini multi tool/key ring with nine tools. Great gift for tradies and handyman. Supplied in white cardboard box.